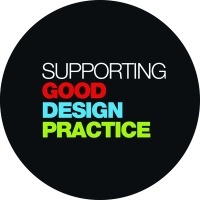 More than 70 per cent of designers have had problems with public-sector clients, according to a Design Week poll. The survey, on www. designweek.co.uk, shows that 71.4 per cent of respondents have encountered unacceptable practices while tendering for public-sector jobs. Both Reading University and Birmingham City Council have come under fire from designers last month over their tender processes. BCC was criticised for asking for unpaid creative work in a tender to create a ‘world class’ identity for the Library of Birmingham. The council later changed its stance, telling consultancies it was ‘not looking for worked-up design proposals at the tender stage’. Reading University was criticised for scrapping its tender for a design framework two days before the deadline, having already taken several consultancies through the pre-qualification questionnaire stage.